Since you can’t technically move into the “happiest place on earth”, otherwise known as Disneyland, why not take the next best thing? Anaheim, California is well known for being home to arguably the most well-known theme park in the world, but a whole new world awaits to those who are interested in becoming a resident of the city of Anaheim. The city is packed with sports, shopping, nightlife, restaurants, history, and a whole lot more. Of course, having so many attractions and amenities at your fingertips may come at a price, the real estate price that is, but we’ll get into that later. All you need to worry about right now is considering what part of town to live in! Three of our favorite neighborhoods are The Colony, Platinum Triangle, and Anaheim Hills. The Colony is the perfect place to perch if you would love to live in a historic home. The area, which is known as a historic district, is within walking distance of many parks, businesses, schools, recreation, restaurants, and stores. Platinum Triangle is an exciting spot for sports lovers and young professionals alike. This up-and-coming area has tons of redevelopments and high-density housing going in around the Honda Center and Angels Stadium of Anaheim, so you can bet living here will be a thrill! If you’re looking for something that airs more on the side of tranquil luxury, Anaheim Hills is the place to be. This neighborhood suits those looking for a suburban getaway with great schools, the lowest crime rates in the city, and convenient amenities. If you’ve read this far and think one or all of these neighborhoods sound appealing, keep reading to find out more about what it takes to live in Anaheim! Living in an area rich with amenities and great weather means you might need to dig pretty deep into your wallet to afford basic needs. Home prices and rental prices in Anaheim are on average 118% higher than the rest of the United States. If you consider housing prices along with other necessities like groceries, utilities, transportation, healthcare, and goods and services, the overall cost of living is 44% higher than the rest of the United States. To help you wrap your mind around that, California as a whole is 38% more expensive than the rest of the United States. So, while it may not be the cheapest option in the LA area, it may still be considered affordable compared to other affluent areas nearby. Within Anaheim, there are a few different neighborhoods with varying real estate price points to choose from. For better livability rankings based on education, crime rates and employment, you will want to consider Anaheim Hills. The median home value here is $545,772, with the median household income for a family of four being $112,701, and median age being 42.2. The rest of the city of Anaheim to the west has considerably less favorable livability rankings; however, their slightly lower real estate prices are appealing. Since the real estate prices are generally similar across this part of Anaheim, we’ll take a look at Southwest Anaheim statistics. The median home value here is $331,272, with the median household income for a family of four being $58,373, and median age being 35.2. It’s almost like this city WANTS you to visit every nook and cranny within its boundaries and beyond! Starting with public transportation, the Anaheim Regional Transportation Intermodal Center, or ARTIC, was built in 2014 and is the city's sparkling transportation hub. It’s a dream train station, uniting the Amtrak intercity rail and Metrolink commuter rail, as well as a bus station used by the Orange County Transportation Authority (OCTA), Anaheim Resort Transportation (ART), Greyhound, Megabus, and Tres Estrellas de Oro. On top of that, it also has shopping and dining options which practically makes it a destination in and of itself. The Amtrak intercity rail provides commuters, visitors, and residents with rail service in the Anaheim/Orange County area. To get where you need to go fast, take the Twenty-two Pacific Surfliner, the Metrolink, or ART. The Twenty-two Pacific Surfliner trains serve Anaheim, Fullerton, Irvine, Santa Ana, and San Juan Capistrano and stops at San Clemente Pier. The Metrolink 91/Perris Valley line (Blue), Orange County (Orange), and Inland Empire/Orange County (Magenta) Lines create a triangle of convenient stops around the city and surrounding areas. If you want to visit one or all of the major landmarks that Anaheim has to offer, ART will be the most convenient way to get around to them! Since public transportation is top notch here, it’s a wonder why people even have cars. However, if you choose to drive (or be driven) to your destination in Anaheim, the three of the best freeways to take advantage of are the five, the “Orange Freeway” or highway 57, and the 91. Whether you visit the house of “The Mouse” first, last, or never during your time in Anaheim, you’ll never be bored in this pulsing city. Get fueled up for fun with dining options from around the world. Go classy with some fine dining options at restaurants like Club 33 and The Ranch Restaurant and Saloon. If comfort food is what your heart desires, there are plenty of eateries like Zankou Chicken and Blaze Pizza that will be kind to your heart and your wallet. Not sure what you feel like eating? Then head over to Center City Anaheim, where the food options seem endless. If you are a fan of fermented beverages, check out any one of the fantastic breweries in the city! A few to check out are Bruery Terreux Tasting Room, Pali Wine Co., and Anaheim Brewery. Once you’ve gotten your fill, take a deep breath, and choose any one of Anaheim’s many attractions to visit for a good time. Catch a Los Angeles Angels baseball game at the Angel Stadium of Anaheim, or a Ducks hockey game at the Honda Center! If you’re interested in exploring a more tranquil setting, you can still get your sport on at the Anaheim Hills Golf Course or take in the scenery of Yorba Regional Park of Anaheim. Is it time for you to empty your wallet for everything that glitters and shines? Then look no further than South Coast Plaza in Costa Mesa and Fashion Island in Newport Beach, where you can enjoy shopping for the latest in high-end fashion. For those of you who enjoy shopping savvy, check out The Outlets of Orange County for deals on that same high-end fashion. 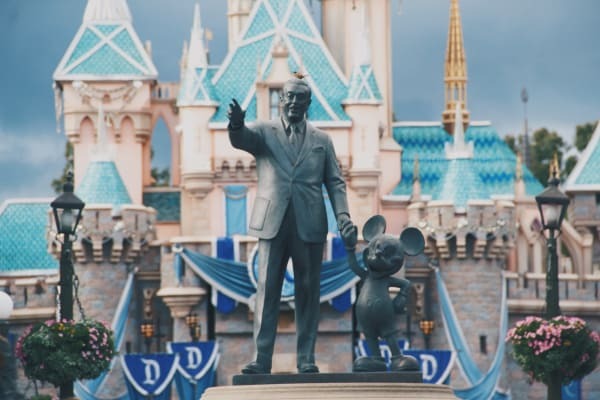 As Disney Princess Cinderella once sang, “A dream is a wish your heart makes”, and if you’re dreaming of moving to Anaheim, what are you waiting for? It’s clear that they have all the entertainment, amenities, cool neighborhoods, and sweet transportation that you could ever want and more. So pack your bags, hop on your hypothetical magic carpet, and head out! Okay — so maybe some of us have run out of genie wishes. That’s why A-1 Self Storage is here! We can help you with all your storage needs to make moving into town as easy as wishing upon a star! We also have moving supplies for purchase including boxes, packing tape, mattress bags, bungee cords, and much more. If you are finding that you may not have enough room for all of your belongings in your new home in Anaheim, you don’t have to let it go! Storing in our state-of-the-art facility is wonderful when you have amenities like 24-hour security surveillance, convenient online bill pay, and individually alarmed storage units. If you’ve never had a self storage unit before, don’t worry — our self storage professionals are happy to help. Our Self Storage professionals are prepared to go the distance to make sure that you have a fantastic self storage experience from start to finish. Are you interested? We can show you! Call or visit the facility to see how A-1 Self Storage in Anaheim can be a part of your world today!